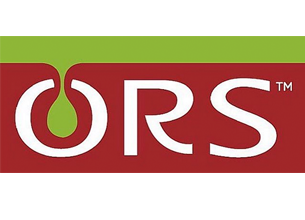 ORS was made to address the health-conscious, multi-cultural consumer market and it’s now the leader in ethnic hair care products with a huge variety of natural, therapeutic health and beauty aids. The hallmarks of this company include exceptional quality, performance and integrity. They are dedicated to identifying holistic, innovative remedies for the healing and renewal of hair, skin and body. ORS Argan Oil Neutralizing Shampoo uses a true herbal recipe to mildly cleanse hair while also restoring its pH balance. It contains argan oil developed from the finest argan nuts of Morocco, that strengthens and repairs weak hair. Size: 250ml RS Price: R59,95 Availability: Clicks and Dis-Chem stores nationwide. 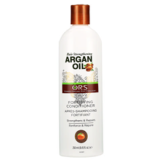 ORS Argan Oil Fortifying Conditioner uses a herbal recipe developed from the finest argan nuts of Morocco to moisturise, detangle and reinforce your hair. It prevents breakage and leaves you with strands that are shiny, soft and strong. Size: 250ml RS Price: R59,95 Availability: Clicks and Dis-Chem stores nationwide.